Corbett Water Falls is situated 25 kilometers from jim corbett Ramnagar. Thick teak wood jungles and a narrow winding road 1.7 kilometers inside is an out of the world experience. The best thing all along has been the chirpings of birds in the background and sound of flowing water. 4 kms from Kaladhungi, on the Kaladhungi - Ramnagar highway, falls at leisure. Jim Corbett Water Falls. Surrounded by dense forests, pin drop silence, this 20 meters. high fall is simply a sight to behold! Famous as the ideal camping hide out, this spot now has become a major tourist attraction. Trekking in the forests, bird watching at peace or nature walks at leisure are the only routine and time pass at Corbett Falls. The forest department has taken all necessary steps to provide all amenities and facilities to promote Jim Corbett Falls as a picnic spot with the difference. 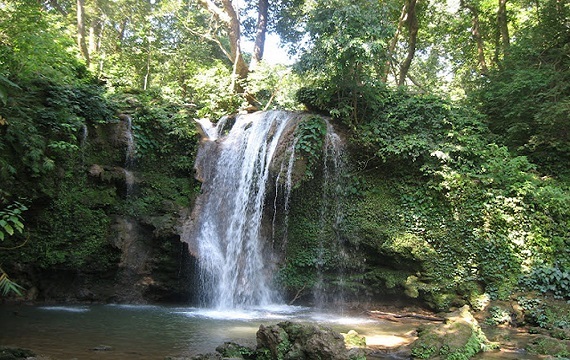 The Jim Corbett water falls is surrounded by dense forests and pin drop silence. This Water Falls is nearby best luxury resorts in jim corbett ramnagar. 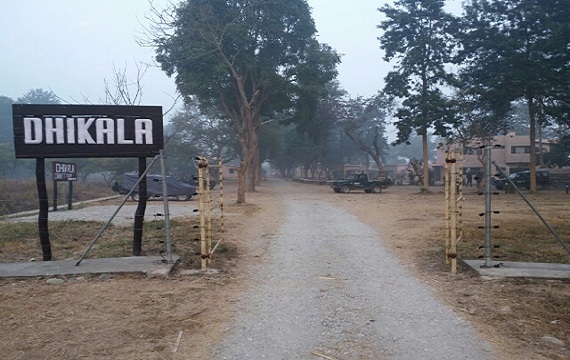 Dhikala is the most well known of the popluar tourist destinations in Jim Corbett. It is located at the edge of the broad Patli Dun valley through which the Jim Corbett, Ramganga flows in numerous channels. Dhikala offers an awesome uninterrupted panoramic view of the valley, with the Kanda ridge in the backdrop. This sight appears all the more imposing from the watchtower near Dhikala. The Tourist Complex overlooks Dhikala chaur (one of the largest remaining grasslands of the Park) and Phulai chaur. A drive through the numerous trails through chaurs is rewarded with sightings of Tigers. wild elephants, chital, hog deer and numerous grassland bird species and raptors. The old rest house at Dhikala is a historic structure, having been built over a hundred years ago. Canter Safari (Bus Safari) is also a popular way to explore Corbett national park. Canter safaris can ONLY be done in Dhikala Zone, and it is the ONLY way to explore Dhikala Zone if you are not staying in any FRH (Forest Rest House) in Dhikala. Our best luxury resorts in jim corbett ramnagar nearby Dhikala. Garjiya Devi Temple is situated on a huge rock amid the River Kosi, 14 km from Jin Corbett, Ramnagar. It is a very famous temple and a large fair is organized at this Shakti shrine on Kartik Purnima that draws a large number of pilgrims and devotees. It is said that a couple has to go in that temple to take the blessings of the Garjiya Maa who is the presiding deity. 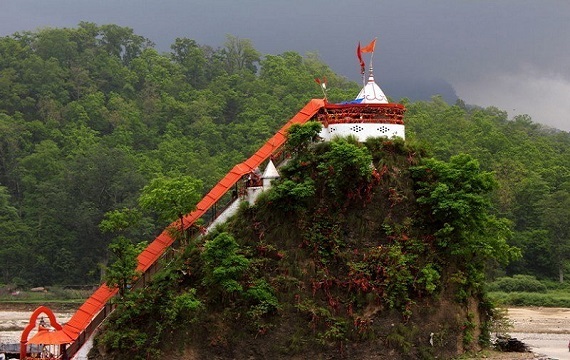 Garjiya Devi Temple is located in the Garjiya village near Jim Corbett, Ramnagar - Nainital District, Uttarakhand, India. It is a sacred Shakti shrine where Garjiya Devi is the presiding deity. Garjiya Devi Temple situated over a huge rock in the midst of river Kosi. Garjiya Devi Temple is one of the most famous temples of the Nainital district visited by thousands of devotees during Kartik Poornima, a Hindu holy day celebrated on the fifteenth lunar day of Kartik (November – December). Ramnagar Bus Station is located near to the Railway station. There are regular buses from corbett Ramnagar to Nainital and Kashipur. Our best luxury resort in jim corbett ramnagar nearby Garjiya Devi Temple. Corbett Museum at Dhangarhi where you will see the belonging and life history of Mr. Jim Corbett still intact at the museum with some of the animals at Jim Corbett National Park with basics News. The museum show cases some memorabilia connected to Jim Corbett, which include some great valued personal belongings, letters written by him as well as his friends and well wishers, antiques and rare photographs. At Corbett Museum Local Village Cooperative produce barring the Corbett Caps, Hats and T Shirts. 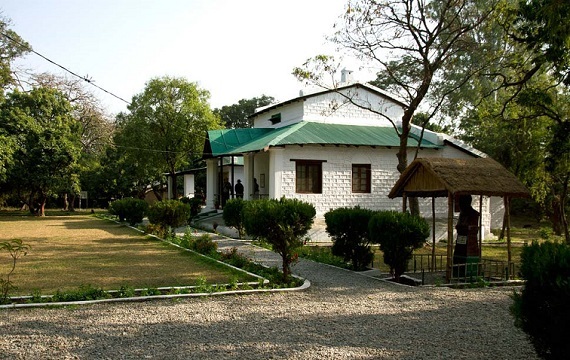 Our luxury resort in jim corbett ramnagar nearby Corbett Museum.